Handmade with love to dogs. 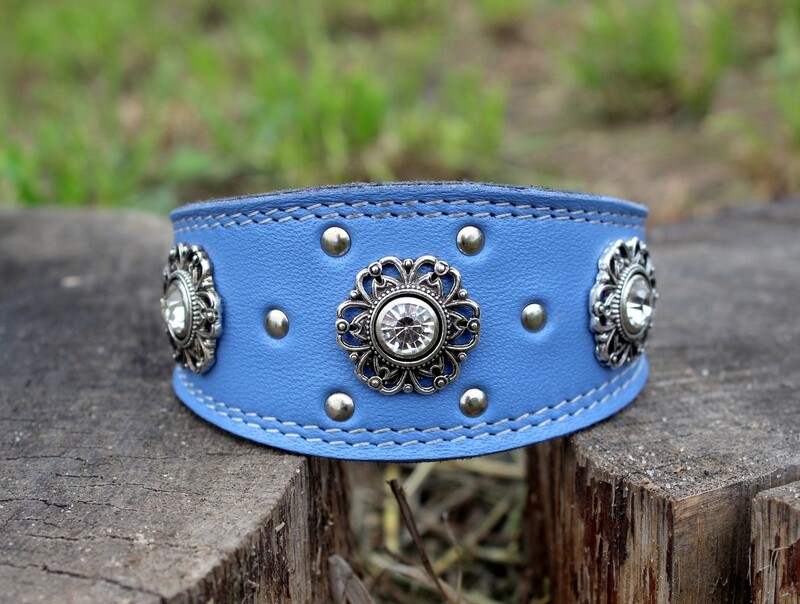 Luxury leather designer collar for Italian Greyhound, Sighthound, Whippet, Saluki. WE CAN MAKE THIS DESIGN WITH DIFFERENT LEATHER COLOURS. Just write in the comment if you prefer other colour. 100% handmade collar of very soft Italian leather. Best for Italian Greynounds, Whippets and small/medium dogs of other breeds. We use only the highest quality materials - genuine soft leather and strong durable accessories. Made to order - please allow 1 week for creation. Shipping time depends on country. It takes average 1-2 weeks to Europe & USA, 3-4 weeks to distant destinations like Africa, Australia e.t.c. We used to live with dogs all our life. First we had mixed breeds, mainly rescued. 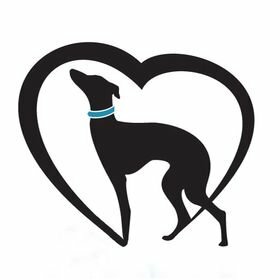 In 2009 we founded a kennel of Italian Greyhounds "Sunnymoon Place". Since that our life was changed totally - dogs became the main pleasure in our life. We live with our dogs in a beautiful and ecology countryside. Our dogs live in the our house but have 24/7 access to the yard. They can play and just lie on the sun near their own mini-lake. We have long and active everyday walks in the fields and forest. In 2014 we started to make collars for our own dogs and friends. We tested different materials, accessories. The main goal was to create long-lasting collars that are also elegant. Our dogs wears their collars in so called extreme conditions: hunting, swimming, just swearing in the mud :). That is why we dont use any glue, glamour glossy accessories and weak buckles. Only specially prepared genuine leather, strong metal accessories and rivets with stones. Our collars become awailable for sale in February 2015. It was the birthday of our small family business :) In 2017 we designed own dog toys and dog clothes line (hand-knitted sweaters, winter coats, T-shirts e.t.c). Certainly, all products were tested by our own dogs first :) And only after their approval we started to offer them for all. By the way, if you maybe thinking of taking into your family such an amazing dog as Italian Greyhound - welcome to our kennel's site (http://sunnymoonplace.com/) to get asquainted with our dogs. We have puppies couple of times per year and we are looking for the best homes for them.